One last item announcement before our shiny event tomorrow. 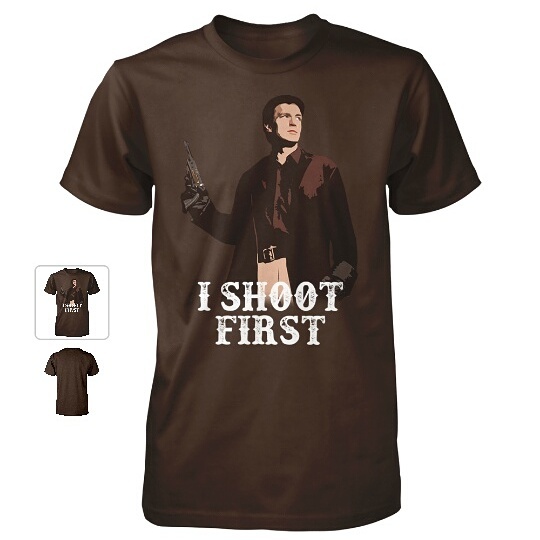 We managed to secure two of the limited edition I Shoot First t-shirts from Nathan Fillion’s charity campaign for KUSEWERA. Both will be available in our silent auction running from 4pm until 7:20pm. Don’t miss your last chance to own one of these beauties!